From clinical settings to agile environment, we get it covered. Ensure a reliable Asian language translation company next to you throughout the life cycle of your global clinical trial conducted in Asian countries, and see how eTMF maintenance for Asian language documents (and medical translation thereof) goes smooth – from essential study start-up documents to post-marketing phase documents. Fluently translated medical database and user interfaces of a Hospital Information System (HIS) and medical device software improve usability for both system administrators and medical device consumers, leading to higher productivity. 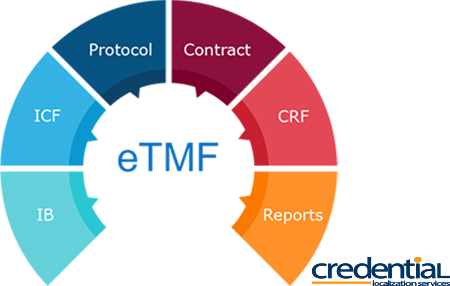 Teaming up the professional medical translators, subject matter experts and software localization project managers, CREDENTIAL offers a fast and accurate medical translation solution for localization of any medical information databases. 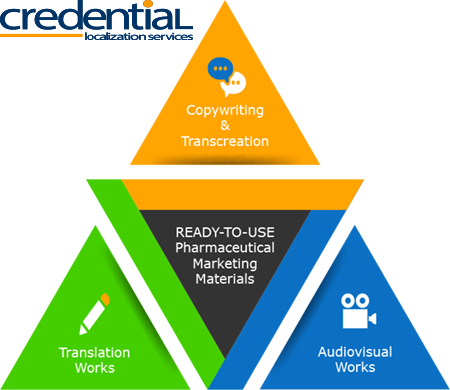 Ability to transcreate and copywrite in Asian languages, add open / closed subtitles, and render on-screen texts takes CREDENTIAL’s pharmaceutical translation services to localization of multimodal pharmaceutical marketing video, pharmaceutical webinars, and recorded medical seminars. 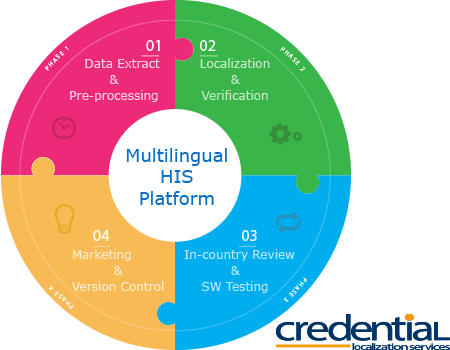 Medical translation of such patient-facing materials as patient information leaflets (PIL) and informed consent forms (ICF) cannot be rendered fluently without additional mid- and post-localization processes. To ensure patient readability and cultural relevance in the translated patient-facing materials, CREDENTIAL’s in-country linguists and subject matter experts are brought into play for what can only be done by them.